Over the weekend, Zara and Mike Tindall enjoyed a special family occasion, as they celebrated the christening of their youngest baby daughter, Lena Tindall. The couple headed to St Nicholas Church in Cherington, Gloucestershire, for the ceremony, attended by other members of the royal family including grandmother Princess Anne, the Queen, and Prince Harry and Meghan Markle. And during the event, it was confirmed that Zara and Mike had chosen a very special role for her cousin Prince Harry – that of godfather of their 10-month old daughter. Prince Harry’s sweet new role comes just weeks before he and the Duchess of Sussex become parents themselves, with Meghan thought to be expecting between mid-late April. The Duke of Sussex and Zara are known to be close – having often been pictured over the years joking and laughing together. 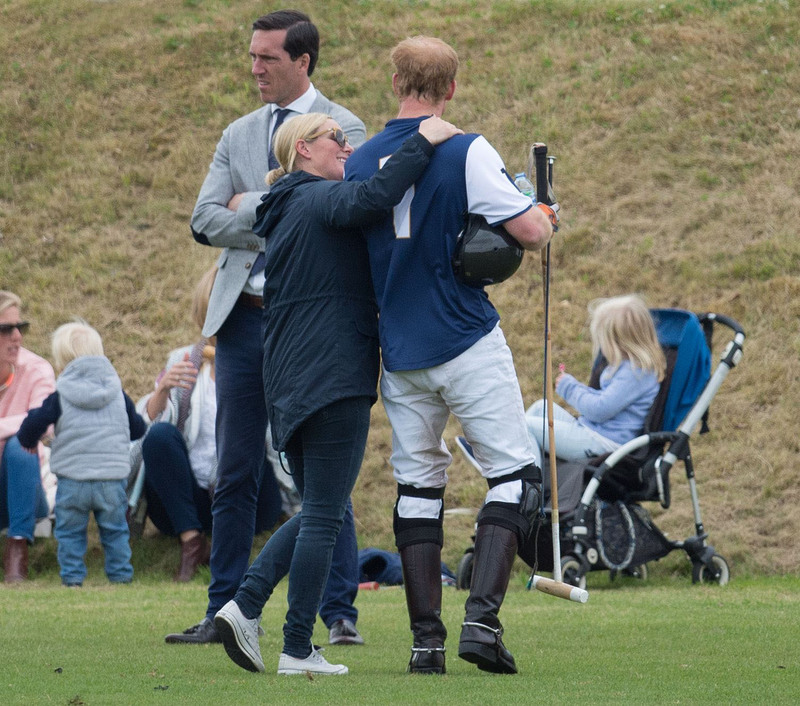 The pair regularly catch up at polo matches across the country, where Prince Harry usually participates in matches, and Zara watches on the sidelines with her family. Mike Tindall has often spoken his and his wife’s bond with the royal brothers, insisting that they’re the ‘nicest people around’, and just ‘normal people’. Speaking to the Daily Mail, he said, “They’re good, fun people, all of them. They’re just a normal family. “I’m on the edge of that world. You might call it bizarre, but you see the extreme side of it at something like William’s wedding. On the day, some royal watchers were surprised to see the Queen celebrate her 7th great-grandchild’s christening – a low-key event by royal standards – given that she didn’t go to Prince Louis’ back in July. But the monarch appeared delighted to be there, although many spotted that she wasn’t joined by her husband, Prince Philip. Prince William and the Duchess of Cambridge were also not in attendance, instead making an official visit to a St Patrick’s Day parade in London.